It is easy to dismiss Creative Destruction from developer Yuan Zuo as just another Fortnite ripoff, but look beyond the exterior and you have a pretty good battle royale mobile game. With customization, lots of weapons and the ability to interact with the environment, Creative Destruction has plenty to keep gamers satisfied. You start by choosing a character, go through a tutorial and then you are dropped off into the battle zone. You and other players battle it out in a deathmatch, using the weapons available all in an effort to be the last man standing. The map contracts, bringing the players together and leading to more intense battles. Controls are to the right of the screen. You tap to select a weapon and use your Destructor to destroy objects and pick up valuable items. With autorun and auto shoot you can focus on other aspects like building and obtaining the most powerful weapons. Colors indicate their strength, with white the basic and the most powerful firearms orange. You have the standard rifles, semi-automatic and short firearms, plus a few unique weapons found in special containers and chests. Aside from taking down the other players and creating structures you also need to keep an eye out for the supply drop-offs. You can go at it alone or team up with another player. You can also join a larger group. 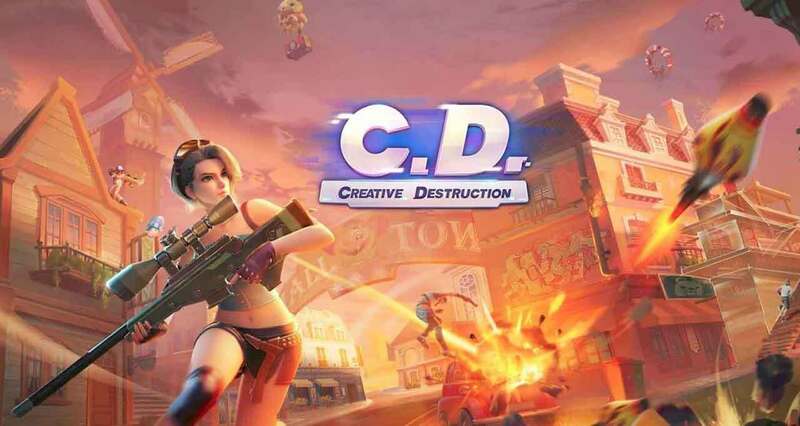 Creative Destruction offers a bit of everything, and while it may not be the most original battle royale game, is still worth a download.